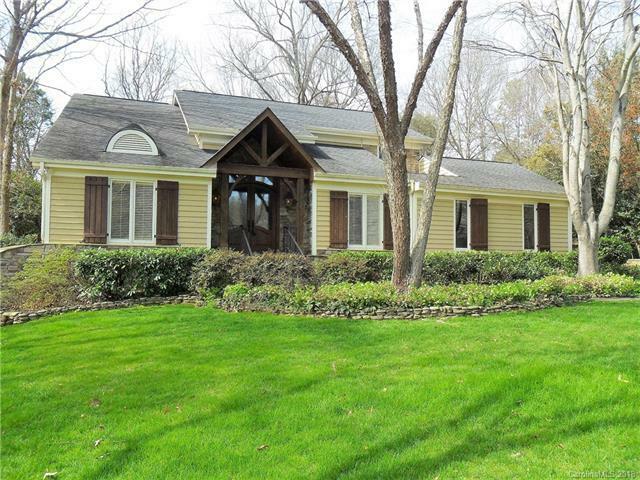 Gorgeous 4BR, 3BA Home on Highly Sought Cul-de-Sac. New Interior Paint and Carpet. Kitchen w/ Huge Pantry, Gas Range/Oven. GR w/ Wood Burning Fireplace, Lots of Light. Laundry Room w/Granite Counters, Utility Sink, Tons of Cabinets. Large Dining Room, Living Room w/ Hardwoods, Stone Gas Fireplace and BI Shelves. Office w/ Built Ins. Master BR w/ His and Hers WI Closets. Incredible Master Bath! Huge Shower w/ 6 Heads, Granite Top Bench, Dual Vanities w/ Granite Tops. LA Related To Seller. Sold by Gmf Property Development, Llc. Offered by Geoff Campbell Realty Inc. Copyright 2019 Carolina Multiple Listing Services. All rights reserved.